Has the mistletoe auction really been stopped? 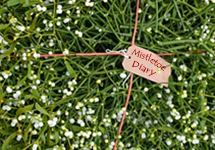 This year’s mistletoe gossip…. and much much more…. This year’s diary will start in October – so come back soon.